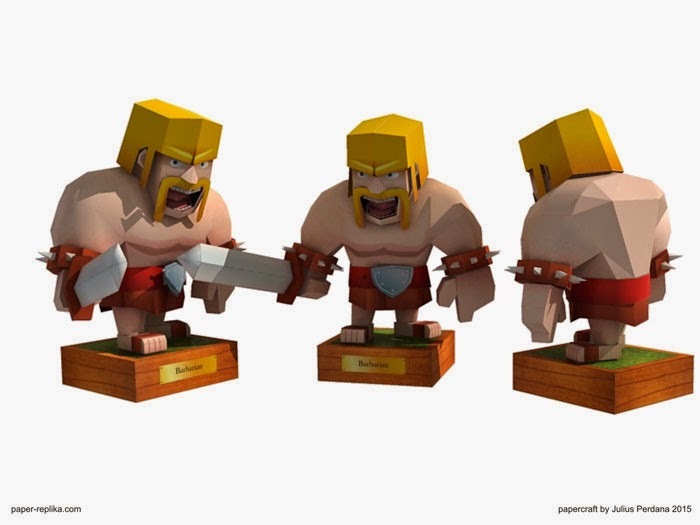 This character need no introduction especially to the "clashers" or players of the hugely popular mobile game Clash of Clans or CoC by Supercell. I've been playing the game for more than a year and I don't see myself stopping anytime soon. Anyways, expect more characters from Julius in the future. where is the other troops and defense and town hall? The designer has not created it yet. I will post it here when available.